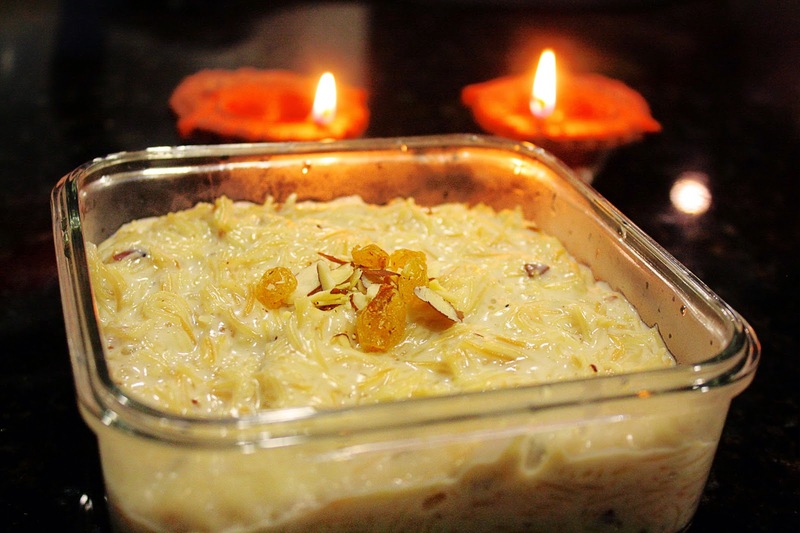 Here I come up with one more dessert " Vermicelli Kheer." 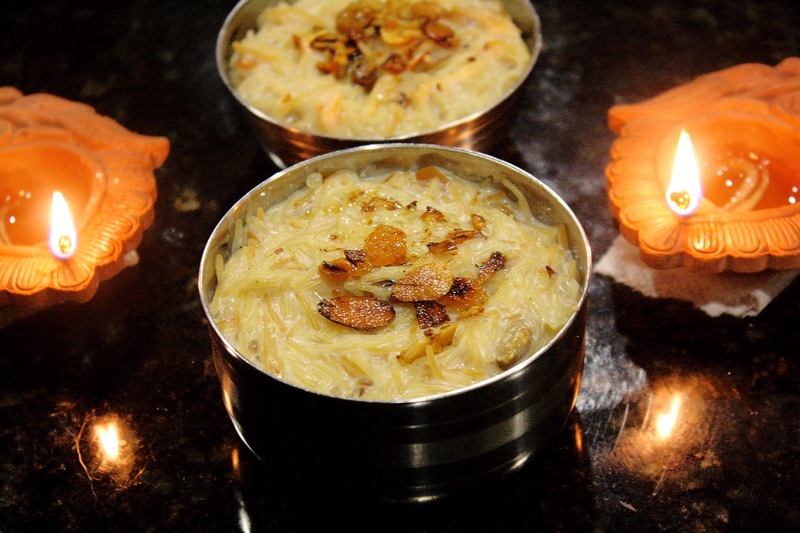 It's also called as Semiya Kheer and semige payasa in Tulu/Kannada. 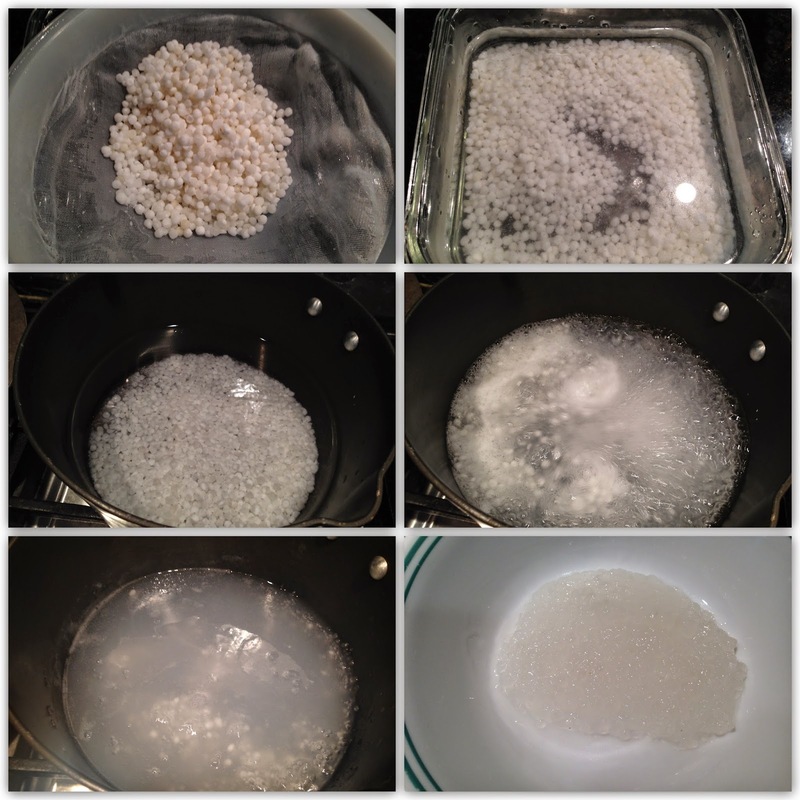 I have also added Sabudana/Sagu(tapioca pearls) to it. I wish you all a Very Happy and Prosperous Diwali. Wash 1/2 cup of sabudana in water until you get clear water. Then soak it in a cup of water for 15 mins. Wash again. Then boil the washed sabudana in 2 cups of water, until it turns transparent(takes about 15-20 mins). In a non stick pan, heat 1 tbsp of ghee. Add dry fruits, heat it and keep aside. 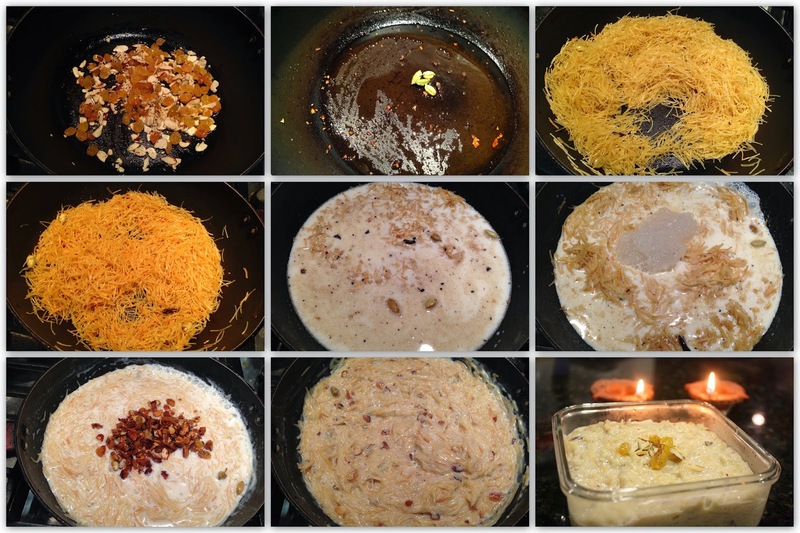 In the same pan, add 2 tbsp of ghee, then add clove and cardamom. Heat it. 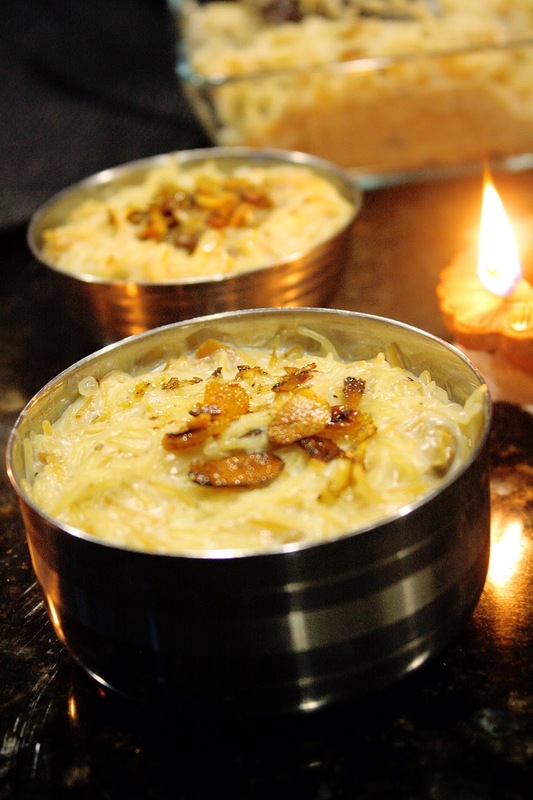 Then add vermicelli, Fry it till it turns slightly brown. Then add milk and sugar. Mix well. Add water and mix again. Cook till the milk boils. Then add dry fruits and mix again. If you need watery consistency, add water do not add milk. Adding milk makes it very thick and sticky. Wash sabudana properly, or else it will also be sticky. I used only 1/2 cup of sabudana, you can add more. Add milk, sugar, sabudana and dry fruits. Kindly leave your suggestions and comments in the comment box below.